Serving the communities of Bridgenorth, Ennismore, Buckhorn, Lakehurst and Curve Lake. Our Club has been involved with many community events and organizations and raised funds for several major community programs. The development of the Paul J. English Lions Park in Bridgenorth provides playing fields for baseball, soccer and now a Frisbee football on the new sports field for both youth and adults. The Club has donated towards the building of a new library in Bridgenorth,the remodeling of the Ennismore hockey arena, upgrades to the curling arena in Ennismore,funding for a Zamboni ice making machine in Buckhorn and donations to Peterborough Regional Health Centre (PRHC) imaging upgrade program. This year working with other Lions Clubs in our area, we made donations toward the upgrading of the PRHC Cataract surgery department equipment. Along with these larger projects the club continues to support local programs and events with funds raised at our Monday Night Car Show in Bridgenorth, Tractor Pull in Ennismore at the Shamrock Festival, cake and cookie sales at the Nick of Time in Buckhorn each fall. These groups include Ennismore Community Care, Buckhorn Community Care, Five Counties Children's Center,Jones Beach Swim Program, Ennismore Hockey, Bridgenorth Remembrance Day Service, Multiple Sclerosis, road side cleanup, Chemung PS & St Martins CS meals program, Dog Guides Walk, Peterborough Greenwing Fishing Derby, Cycstic Fibrosis Canada, and local youth organizations.The club also provides Christmas Hampers to the less fortunate in our community every year. 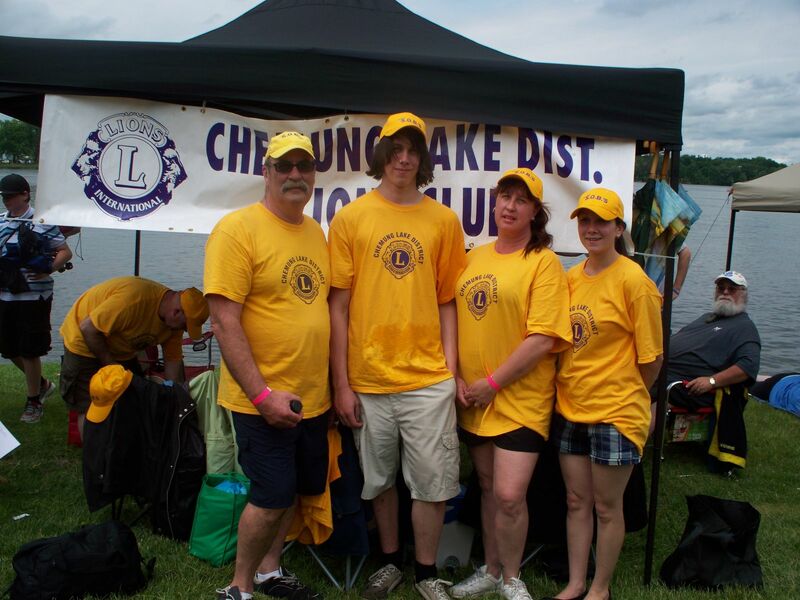 These are just a few of the many groups and organizations that receive support from the Chemung Lions over the year. In all the Club donates an average of $30,000.00 per year back into the community. The Club also provides Vision and Hearing Screening tests in our local schools on a yearly basis. All junior and senior kindergarten classes along with students in grade 1 are provided with a free eye and ear test with a written report provided to the parent if a follow up is required.